Forecasting is a difficult game, since it requires a deep understanding of your market segment and making the wrong call can be costly, both for resources and brand value. For this reason, it has always been much more stable to stay on-trend rather than think about where the market is heading. Particularly in fashion, understanding the nuanced evolution of aesthetic can be a nightmare. Generation Z, or the segment after Millennials, makes this even more of a problem. As the group has been raised on social media and has an attention span lasting about 8 seconds, they need constant, drastic change in order to maintain intrigue. Companies such as Zara and Vetements have thrived with Gen Z.
Zara produces a new line of clothing every 2 weeks, has made a consumer experience centered on impulse purchases, and use data to optimize style. Conversely, Vetements is an utterly non-fashion brand that rethinks all apparel and actions to in a sense be walking art. Both are unique and forward thinking, which resonates with Gen Z’s desire for unique self-expression and their artistic disposition. Cindy and Dae Lim are two Asian-American immigrants that founded Sundae School, a unique fashion brand gaining massive appeal with Generation Z. As a new take on the current trend of “streetwear” clothing, Sundae School is light-hearted line taking influence from the streets of Korea and American smoking culture. Asserting “smokewear” in a stylish manner draws upon the evolving aesthetic of Gen Z and the grassroots movement to legalize marijuana. 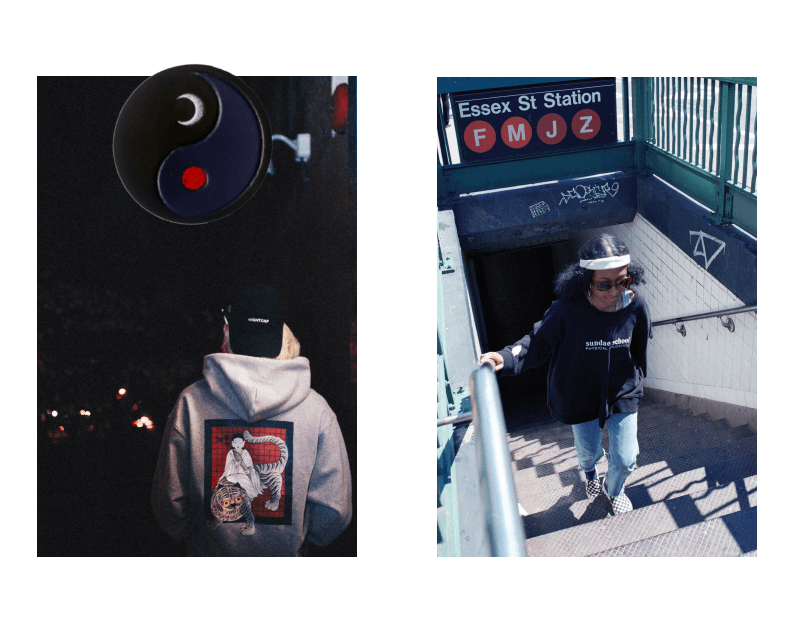 Authenticity matters to Gen Z and Sundae School has managed to stand out from the dozens of other streetwear brands, because it is not streetwear, it is smokewear. Supreme, Bape, and Yeezy are pinnacles of the streetwear industry right now and everywhere you turn you can see riffs on the style with graphic tees and hoodies. These all fall short though since it creates noise, not value. As the Lim siblings elaborate, “Supreme was made for the skateboarding culture back in the 90’s, but if you look at people who wear Supreme now, they all smoke and few actually skate.” With this evolution in tastes and preferences, mimicking streetwear seems foolish. Gen Z does not need clothes for the skate park, they need stuff to rock while chilling with friends. As a brand, understanding this aspect of the youth helps Sundae School better communicate their narrative and stand apart from the competition. Much of the older generation would scoff at wearing clothing meant to encourage smoking. After all, the War on Drugs tells us that marijuana is one of the most harmful substances. Unfortunately, many of the anti-smoking campaigns have encouraged smoking more than stop it, which is part of the reason for the growth in legalization efforts. Additionally, Gen Z has rebelled against the black-and-white outlook of older generations and cut-and-dry commercialism of older companies. Gen Z wants to express themselves and stand out from their peers when they post pictures on social media. For the Lims this meant tying their Korean heritage into the smoking culture they were exposed to in college, as well as offering a number of opportunities for customizing the gear. At one of the pop-up events scheduled for New York in June, they will feature a customization bar to deck out gear with their variety of punny patches. While Vetements is the picture of non-functional attire, the broad majority of youth questions why things are done and wants everything to have an express function. This has given rise to the minimalism movement, where everything must have a reason for existing. Sundae School is not necessarily minimalistic, but works to redefine how garments play into the daily life of a young smoker. Notably, a place to hold a spliff, pencil, or cigarette is added to their baseball hats. The brand also plans to routinely release gadgets for smokers to use while kicking back. They started this series of fashion gear with a metal lunchbox, reminiscent of elementary school, except designed for storing smoking essentials. Overall, Dae and Cindy have paid particular attention to the routine needs of young smokers and crafted a lifestyle brand around that culture. Too often brands believe young people are moving more and more online and so their marketing efforts need to become digital and not physical. Gen Z breaks this Millennial trend however and displays a particular interest in having tangible experiences, interacting face-to-face with brands, and having cool opportunities to post on social media. Utilizing a mixture of pop-up shops and events, Sundae School helps their young consumers buy into the cult and be the cool kids on campus. First launching the brand at an event in Milan and then planning a pop-up for New York, with others on deck on Philadelphia and Los Angeles, Sundae School is able to better curate an environment for their brand and drive positive consumer engagement. Their “Sundae High Tea” in New York in late June ties in premium Korean tea with new product releases, customization opportunities, and a chance to meet the personas leading the movement.